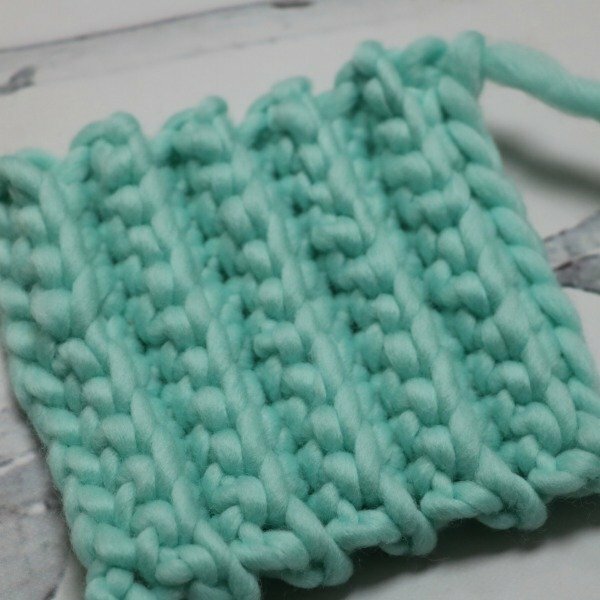 In today’s lesson you’ll learn how single crochet (sc) in the front loop only (flo) and the back loop only (blo). If you haven’t yet learned the basics go check out our first lesson on YouTube. Watch this video until you’ve mastered this step. It is essential to build on everything else. This is the hardest part of the learning process. It takes practise so keep trying until you’re comfortable with your grip and yarn hold. For my learn to crochet series I will be using Super Bulky weight #6 yarn and a 9mm crochet hook. You can use any hook and yarn weight but I feel learning with a larger hook and weight yarn is easier. This video will show you how to single crochet (sc) with a starting chain and also how to crochet a foundation single crochet (fsc). Row 1: Ch 11, work 1 sc in the 2nd ch from the hook and in each ch across, turn—10 sts. Rows 2-10: Ch 1 (not included as a stitch), work 1 sc in flo of each st across, turn—10 sts. Row 2: Ch 1 (not included as a stitch), work 1 sc in the flo of each st across, turn—10 sts. Rep Row 2 [ 8 more times]. Rows 2-10: Ch 1 (not included as a stitch), work 1 sc in blo of each st across, turn—10 sts. I’m so excited for this series! Please email with any questions or any requests you have! FREE Shipping and Giveaway on Sugar Bush Yarns!!! The Hooded Owl Poncho is a Hoot!